External evidence for Pauline authorship. Ephesians is listed in the earliest canonical lists as attributed to Paul. For instance, the heretic Marcion (AD 140) includes the letter, though he titles it the letter to the “Laodiceans.” The book is also listed in the Muratorian Canon (AD 180). Furthermore, various church fathers cite portions of the book as Scripture or allude to it. Wood writes, “There are also distinct echoes of Ephesians in Clement of Rome, Hermas, Barnabas, Ignatius, and Polycarp and more obvious references in Tertullian, Clement of Alexandria, and Origen.” He adds, “Since Clement of Rome reflected its language when he wrote to Corinth in AD 95, it is likely that this attestation runs back to the first century.” In fact, historically, no one questioned Paul’s authorship until the beginning of the nineteenth century, or maybe as early as 1792. First, Paul wrote this letter from prison (Eph. 3:1; 4:1; 6:20). A letter written from prison would probably sound different than a letter written from home. Second, Paul wrote this letter later in life. Writing at age 30 would be different than writing at age 50. Personally, we fully expect to write differently now than when we write at age 50. Even year to year our writing style changes with time. Third, Paul intended this letter to be circular. Contrary to common belief, Ephesians was not written to the church in Ephesus (see below under “Audience”). Instead, this was a circular letter, meant to be copied and passed around the churches in Asia Minor. When we write personal letters, we might use certain language. But, when we write informal letters, we might use different language. Interestingly, other critics argue that Ephesians cannot be written by Paul because it depends too much on the book of Colossians (whose authenticity is rarely questioned). This seems like a case of mutually competing claims: Is Ephesians too different from Paul’s other writings or too similar? The critics cannot have it both ways. Audience: To Whom was Paul Writing? First, the earliest manuscripts do not contain the words “who are at Ephesus.” In the earliest manuscripts, we read: “Paul, an apostle of Christ Jesus by the will of God, to the saints who are at Ephesus and who are faithful in Christ Jesus” (Eph. 1:1). This phrase (“who are at Ephesus…”) is absent from the Chester Beatty papyrus (AD 200), Sinaiticus, and Vaticanus. (Eph. 6:23) Peace be to the brethren, and love with faith, from God the Father and the Lord Jesus Christ. Compare this with Paul’s conclusion to the Romans. In Romans, Paul identifies no fewer than 26 people by name. In Ephesians, he doesn’t identify anyone! Paul had never even been to Rome, and he still addressed people by name. (Eph. 4:14) As a result, we are no longer to be children, tossed here and there by waves and carried about by every wind of doctrine, by the trickery of men, by craftiness in deceitful scheming. Here, Paul alludes to false teachers, but nothing specific. (Eph. 1:15) For this reason I too, having heard of the faith in the Lord Jesus which exists among you and your love for all the saints. Paul had “heard” about their faith, rather than “seen” it. This is odd language for a man who had spent three years in this church. (Eph. 3:2) If indeed you have heard of the stewardship of God’s grace which was given to me for you. Paul wasn’t even sure that they had even heard of his ministry! How would this be possible, if he had led a church there for three years? (Eph. 4:21) If indeed you have heard Him and have been taught in Him, just as truth is in Jesus. (Eph. 6:21-22) Tychicus, the beloved brother and faithful minister in the Lord, will make everything known to you. 22 I have sent him to you for this very purpose, so that you may know about us, and that he may comfort your hearts. (Col. 4:7-8) Tychicus, our beloved brother and faithful servant and fellow bond-servant in the Lord, will bring you information. 8 For I have sent him to you for this very purpose, that you may know about our circumstances and that he may encourage your hearts. [Ephesus was] a booming city and a key coastal port in Asia Minor, it was the home of Dionysiac cults, Artemis worship, a major library, indoor and outdoor theaters, marble streets in the city center complete with outdoor lamplighting, state-of-the-art Roman bathhouses, spas, a gymnasium, and an athletic stadium. The emphasis in Ephesians on Jesus’ Lordship over the demonic would fit with what we know of Ephesus (cf. Eph. 6:10-18 with Acts 19:19). These people were polluted with demonic, idol worship. Therefore, this fits with the time period as well. Date: When was this letter written? Ephesians was probably written around the same time as Colossians. Both letters are very similar in structure and language (Col. 1:14; Eph. 1:7), and both are delivered by Tychicus (Eph. 6:21-22; Col. 4:7-8). Gundry notes, “The indication that by word of mouth Tychicus will add further details about Paul’s circumstances implies that Tychicus will carry both letters at once to their destinations.” Moreover, both letters mention household values (Eph. 5:22-6:9; Col. 3:18-4:1). For these reasons, Blomberg concludes, “Ephesians would have been written and sent out at the same time with Tychicus and Onesimus as those other two Prison Epistles, in 60 or 61, by Paul from Rome while he remained under house arrest there.” Since Wood sees the origin of the letter as coming from the Roman imprisonment (rather than Ephesus or Caesarea), he dates the book to AD 63. Ephesians 1-3 contains virtually no imperatives!—only indicatives. (The only exception to this would be Ephesians 2:11 where Paul tells us to “remember” our old life before meeting Christ). If God were to speak to us personally, we might expect him to give a long list of imperatives for us to follow. Yet, in Ephesians, we see that God begins with all that he has done through Jesus Christ, rather than what we should do. There is a high emphasis on Jesus’ power over the occult and demonic forces in this letter. This makes sense of the high level of occult activity in Ephesus (Acts 19:19). Paul uses three images for the church: the body, the building, and the bride. It’s an interesting study and discussion to unpack what each of these means. (1:1) “Paul, an apostle of Christ Jesus by the will of God, to the saints who are at Ephesus and who are faithful in Christ Jesus.” Remember that the earliest manuscripts do not include “who are at Ephesus.” This is most likely a circular letter. Paul writes it to Christians to get them grounded in the fundamentals of Christian faith and practice. (1:3) “Blessed be the God and Father of our Lord Jesus Christ, who has blessed us with every spiritual blessing in the heavenly places in Christ…” This sentence in Greek is one continual run on sentence (vv.3-14). Once Paul started talking about the grace of God, he couldn’t stop! God has “blessed us.” Eu means “good” and logeo means “to speak.” Thus if we were breaking down this word into parts (which can sometimes render too literal of a meaning; e.g. “milkshake” or “butterfly”), we would say that God “speaks well of us.” God views us in the same light as he views Jesus, because we have been placed into Christ (“in Christ”). We might feel like a failure, but we need to remember that God loves us and is pleased with us—just as he loves and is pleased with his Son: “This is My beloved Son, in whom I am well-pleased” (Mt. 3:17). We have “every spiritual blessing” in Christ. We are chosen (v.4), adopted (v.5), redeemed (v.7), given revelation about the end of history (v.9-10), and sealed with the Holy Spirit (v.13-14). Everything in this section is past tense completed. That is, everything has already been given to us. “in Christ” occurs 82 times. “in Him” occurs 20 times. “with Christ” occurs 12 times. “with Him” occurs 12 times. Though his wrist was chained and his body was confined, his heart and mind inhabited eternity. He peered back ‘before the foundation of the world’ (verse 4) and on to ‘the fullness of time’ (verse 10), and grasped hold of what ‘we have’ now (verse 7) and ought to ‘be’ now (verse 4) in the light of those two eternities. As for us, how blinkered is our vision in comparison with his, how small is our mind, how narrow are our horizons! Easily and naturally we slip into a preoccupation with our own petty little affairs. But we need to see time in the light of eternity, and our present privileges and obligations in the light of our past election and future perfection. We should not ask God to give us these particular blessings, because he already has! Instead, we should thank God for what he already has given us in Christ. It takes faith to believe that this is the way that things actually are. Paul says that these things are “unseen” (Col. 4:18; cf. Heb. 11:1). Paul later calls on believers to set our minds on these things above (Col. 3:1-4). We are supposed to meditate and think about our identity in Christ regularly. (1:4) “…just as He chose us in Him before the foundation of the world, that we would be holy and blameless before Him.” God set up his plan to rescue us before creation. We are not chosen in a Calvinistic sense. We are chosen “in Him.” How was Jesus chosen (Lk. 9:35)? Was he one of many Messiahs? Of course not. Since Christ was God’s “holy and blameless” Messiah, we inherit this quality by being “in Him.” When God looks at us, he sees us as “holy” and “blameless,” just as he sees his Son. “…according to the kind intention of His will…” God worked this entire plan because of his kindness. We deserve nothing from God. If he hadn’t initiated this rescue plan through Christ, we would have none of these promises and privileges. (1:6) “to the praise of the glory of His grace, which He freely bestowed on us in the Beloved.” The NLT interprets this as an imperative (“So we praise God for the glorious grace he has poured out on us”). But the term “praise” is a noun in the Greek—not a verb. This isn’t an imperative (i.e. something we do), but rather, this is the result of what God has done. We don’t use the term “redemption” much anymore—maybe only to say that “I redeemed a lottery ticket.” The Greek term (apolytrosin) means “to release from painful interrogation” or “from a captive condition” (BDAG). The root word (apoluo) means “to grant acquittal, set free, release, pardon” (BDAG). “Forgiveness” (aphesin) means “the act of freeing and liberating something that confines us, release” or “the act of freeing from an obligation, guilt, or punishment, pardon, cancellation” (BDAG). We have been released from guilt. The concept of understanding the “riches of His grace” comes up throughout the rest of the book. While we might understand this propositionally, it takes faith, prayer, and revelation to understand this personally (Eph. 1:18; 2:7; 3:8; 3:16). We will plunge the depths of God’s grace for all of eternity. (1:8) “…which He lavished on us. In all wisdom and insight…” The term “lavished” (eperisseusen) means “to be in abundance or abound” (BDAG). God has given us far more than we need. There is no deficit in his grace toward us. Along with forgiveness, he has given us “wisdom and insight.” We have been brought into the family as sons (v.5) and God doesn’t leave his sons in the dark. (1:9) “He made known to us the mystery of His will, according to His kind intention which He purposed in Him…” Just as God made us his “sons” by the “kind intention of his will” (v.5), so too he revealed his will to us by “His kind intention.” Wood writes, “In the rest of Ephesians the content of the plan is more fully elaborated. Here the apostle restricts himself to a brief summary.” Paul brings up the “mystery” of God’s plan later in the letter (Eph. 3:3-4, 9, 5:32; 6:19). (1:10) “…with a view to an administration suitable to the fullness of the times, that is, the summing up of all things in Christ, things in the heavens and things on the earth.” God has revealed that history will not fizzle out or go on forever. History will culminate in the return of Christ’s rule on Earth. Wood writes, “The mission of Christ extends beyond the human race and assumes cosmic dimensions.” The universe is currently torn apart by sin and death, but Christ’s work on the Cross and his “rule” at his Second Coming will mend our fractured universe. (1:11) “In Him, also we have obtained an inheritance, having been predestined according to His purpose who works all things after the counsel of His will…” Calvinists understand this passage to refer to divine determinism. After all, Paul writes that God “predestined” our inheritance, who works “all things according to the counsel of his will.” However, we would point out that this does not necessarily follow. After all, God’s “purpose” and the “counsel of his will” could include human freewill, if God so desired. We would be going beyond the scope of the text to claim that the “counsel of his will” does not include free moral agency. In other words, how do we know that God didn’t include freewill in his purpose and will? We cannot assume what we are trying to prove. (1:12) “…to the end that we who were the first to hope in Christ would be to the praise of His glory.” Wood understands verses 1-11 to refer to all believers. Here, verse 12 refers to Jewish believers (“we who were the first to hope in Christ”). The following verses are addressed to Gentile believers (“In Him, you also…”). It goes without saying that all of the promises of Ephesians 1:1-12 apply to Jews and Gentiles alike, because Paul writes “you also…” Paul switches from we to “you” in Ephesians 3:1 as well. When used with documents (wills, deeds of sale, etc.) the seal served as a signature to authorize what was written there. Things sealed were at the disposal of the possessor of the seal. This applied not only to private persons, but also particularly to the authorities of a city and to kings. The seal symbolized their authority… It has a legal use: by means of a seal a document (e.g. a marriage contract, Tob. 7:14; or a deed of sale, Jer. 39:10f., 44 [32:10f., 44]) is made valid. All who affix their seals to a document are bound to abide by its contents (Neh. 10:1). To give one’s seal to another implies the transference of authority and power (Gen. 41:42; 1 Ki. 20:8 or LXX 1 Ki 21:8; Est. 3:10; 8:8, 10). A legal concept from the language of business and trade. It is found only rarely (Isaeus, Aristotle and later grammarians such as Suidas) and means: (1) an installment, with which a man secures a legal claim upon a thing as yet unpaid for; (2) an earnest, an advance payment, by which a contract becomes valid in law; (3) in one passage (Gen. 38:17ff.) a pledge. In each case it is a matter of payment by which the person concerned undertakes to give further payment to the recipient. Craig Blomberg writes, “Just as individuals who buy something expensive may pay only a portion of its cost ‘up front’ as a pledge that they will supply the rest at a later date… In modern Greek the word can refer to an engagement ring.” Again, the concept of using this in terms of an engagement ring is its modern usage—not its ancient use. Many of these insights were generously taken from Gary Delashmutt’s teaching notes on Ephesians 1 found here. Many Christians do not have the joy of the Lord (Phil. 4:4-7), because they do not focus on the things of the Spirit (Rom. 8:5-6). Paul’s secret to “not losing heart” was “fixing [his] eyes on the things which are not seen” (2 Cor. 4:16-18). This might describe you. Maybe you don’t have the joy, peace, and encouragement of Christ. Maybe you’re just as discouraged, angry, anxious, and negative as everyone else. This comes from setting your mind and affections on temporary things. Do you think about this rich inheritance at the first sign of trouble? Is it your knee-jerk reaction in times of difficulty? Are these things becoming more and more the great treasure of your life, so that even when things are going well you enjoy these things even more than your good circumstances? Delashmutt suggests that we pray through this passage three times a day. Tell God what this means to you. Tell God where you would be without these truths. If God has already blessed us with “every spiritual blessing” (v.3), does this mean that we shouldn’t pray and petition for more? Many believers relate to God like slaves, rather than like sons (v.5). What are some of the similarities and differences between relating to God as slaves versus sons? Why is security so important in our relationship with God (vv.13-14)? Compare and contrast what it would look like to follow Christ if you didn’t have this sort of security. What would change (e.g. motives, actions, emotions)? Paul prays that these believers would know and enjoy the blessings that they have been given. This must mean that it’s possible (and likely) that Christians can fail to enjoy the blessings that they have “in Christ.” It must be possible for a Christian to have these positional truths without having this conditional understanding. Otherwise, Paul never would have prayed this. Paul prays for these believers that they would be able to have intimacy with God, assuming that “knowledge” refers to intimacy (like “knowing” your spouse). In verse 17, he writes, “May [God] give to you a spirit of wisdom and of revelation in the knowledge of Him.” Paul already explained the propositional knowledge in vv.3-14. Here, he must be referring to personal experience. (1:15) “For this reason I too, having heard of the faith in the Lord Jesus which exists among you and your love for all the saints…” Notice that their faith in Jesus led to their love for Jesus’ people. (1:16) “do not cease giving thanks for you, while making mention of you in my prayers…” Paul prayed for the Ephesian church constantly. He also prayed and gave thanks for the Roman church (Rom. 1:8), the Corinthian church (1 Cor. 1:4), the Philippian church (Phil. 1:3), the Colossian church (Col. 1:3), and the Thessalonian church (1 Thess. 1:2; 2 Thess. 1:3). If Paul was really praying for all of these groups, he must have really been praying constantly! How did he do this?! Did he pray while he was making tents all day? Did he pray while he was walking and travelling? Elsewhere, Paul tells us to pray “without ceasing” (1 Thess. 5:17). (1:17) “that the God of our Lord Jesus Christ, the Father of glory, may give to you a spirit of wisdom and of revelation in the knowledge of Him.” NIV translates this as, “May [God] give you the Spirit (pneuma) of wisdom and revelation…” Paul has already acknowledged that they have the Holy Spirit (v.13-14). Here, he is saying that they would have a spirit of revelation from God. Since pneuma lacks the article, this could be taken in this way. However, the gift of revelation shouldn’t be separated from the giver of this revelation (i.e. the Holy Spirit). (1:18) “I pray that the eyes of your heart may be enlightened…” The term “enlightened” (pephotismenous) refers to God’s revelation for people—specifically believers in this context. This shows us that some Christians can know these truths propositionally, but not really acknowledge or believe in them personally. “so that you will know what is the hope of His calling…” Our “hope” is in heaven (Col. 1:5), Christ being in us (Col. 1:27), and Jesus’ return (Titus 2:13). To focus on our hope must mean to focus on eternity with God (Col. 3:1-3). This would include focusing our thoughts, emotions, and investment on eternity. As we reflect on what heaven will be like, we reach moments where we realize, “I am actually going to be there.” This revelation can come through the normal way of sitting in front of the word of God. It can also be a spiritual experience where God makes this reality clear to us in prayer and biblical meditation. (1:19) “…and what is the surpassing greatness of His power toward us who believe. These are in accordance with the working of the strength of His might…” This could refer to God’s power in our lives for spiritual growth. Or it could refer to God’s power to use us in affecting others. Or, it could be both! The gospel is the power of the gospel “to everyone who believes” (Rom. 1:16-17). (1:20) “which He brought about in Christ, when He raised Him from the dead and seated Him at His right hand in the heavenly places…” The “hope,” the “riches,” and the “power” of God were all released at the resurrection of Christ. A transaction took place in the heavenly realm when Jesus rose, releasing hope, grace, power, and riches to people who trust in him. (1:21) “…far above all rule and authority and power and dominion…” This list corresponds roughly to the list given in Colossians 1:16 (“thrones… dominions… rulers… authorities”). “…and every name that is named…” God exalted Jesus’ name above any other name (Phil. 2:5-11). “…not only in this age but also in the one to come.” Paul will elaborate on this more in Ephesians 2:7. (1:22) “And He put all things in subjection under His feet, and gave Him as head over all things to the church…” This is a citation of Psalm 8:6. It is quoted elsewhere by Paul (1 Cor. 15:27) and the author to the Hebrews (Heb. 2:6-9). In 1 Corinthians 15, Paul links this passage with Psalm 110:1, where it is Christ’s enemies who will be his “footstool” (1 Cor. 15:24-28). Christ is currently ruling from heaven, but he will rule on Earth in the future (Ps. 2). If everything in creation is under Jesus’ feet, and the church is identified with Jesus, then “all things” are beneath us, the Church (!!). What is the difference between knowing about God and knowing God personally as verse 17 suggests? Are these concepts mutually exclusive? What barriers stop believers from focusing on heaven and the “hope of our calling” (v.18)? What happens when we try to follow Christ out of our own self-effort, rather than God’s power? (v.19) How might we counsel a fellow believer who was serving Christ out of self-effort? How might we be able to identify this? Paul compares and contrasts what we are by nature, and what we can become by grace. (2:1) “And you were dead in your trespasses and sins…” This is a highly condensed summary of Paul’s argument in Romans 1-3. First, Paul says that the Gentiles are condemned (“you were dead,” v.1), then he says that the Jews are condemned (“we all once lived in the passion of our flesh,” v.3). Finally, he concludes that all of humanity is under God’s wrath (“were by nature children of wrath, like the rest of mankind,” v.3). (2:2) “You formerly walked according to the course of this world…” The “world” refers to the world-system (kosmos) created by Satan to lure people away from God and eternal things (see our earlier article “The World-System”). “…according to the prince of the power of the air, of the spirit that is now working in the sons of disobedience.” Satan is the “unholy spirit” who is “working” (energountos) contrary to how the Holy Spirit is “working” (energountos, 1:19-20). The “power of the air” is likely a metaphorical reference to “the heavenly places” (Eph. 6:12). (2:3) “Among them we too all formerly lived in the lusts of our flesh, indulging the desires of the flesh and of the mind, and were by nature children of wrath, even as the rest.” The problem with us was our sin “nature” (v.3). We deserved judgment from God (see comments on Rom. 5:12, 14). (2:4) “But God…” These are two powerful words! God interrupted this process set in motion by Satan, sin, and death, intervening through the person of Christ to rescue us from this horrific fate. “God being rich in mercy, because of His great love with which He loved us…” God changed us in our nature—from dead to alive. This was purely based on his “mercy” and “love” for us. This word “mercy” (Greek eleos) is the word that the Septuagint used for translating the Hebrew hesed (“loyal love”). Perhaps Paul is harkening back to the great “lovingkindness” of God. The term “rich” (plousios) usually refers to a rich or wealthy person (BDAG). God isn’t just merciful, but he has a wealth of mercy. (2:6) “and raised us up with Him, and seated us with Him in the heavenly places in Christ Jesus…” Not only are we made alive, but we are seated in honor and privilege next to Christ. We aren’t just brought from a negative state to “zero.” Instead, we move from disgraced sinners to become honored sons—like Christ. To use an illustration, it’s like we went into war but deserted our country out of cowardice, and we defected to the other side, betraying everyone around us. Yet, instead of getting the death penalty (what we deserved), we received the “purple heart” on our lapel when we came home! While this is already true of us, our role is to “set our minds on things above” (cf. Col. 3:1-4). (2:8-9) “For by grace you have been saved through faith; and that not of yourselves, it is the gift of God; 9 not as a result of works, so that no one may boast.” The process of salvation (past tense) is by grace, through the means of faith, and apart from works. None of us deserve it. Note that it isn’t our faith that saves us. Instead, God’s grace saves us, but this is accessed through faith. We often hate aspects of who we are, but we need to trust that God is shaping and molding us. While we can’t see this at the time, we will see it ultimately at our glorification. What would happen in a church if they began slipping back into works-based righteousness? What have you observed in groups like this? Verse 10 is also a part of our identity when we meet Christ. How would it affect our Christian life if we never understood that God had a plan for us after meeting Christ? Paul now shifts his focus to show the corporate dimension of our new identity. The first half of chapter 2 refers to our peace with God. The second half of chapter 2 refers to our peace with one another. Historically, Jews and Gentiles were hostile toward one another. But because of the work of the Cross, we are not sociologically and racially unified through our corporate identity in Christ. This was not the primary purpose of the Cross (which indeed was substitutionary atonement), but the corporate dimension is an overflowing and highly important application of the Cross. (2:11) “Therefore remember that formerly you, the Gentiles in the flesh, who are called ‘Uncircumcision’ by the so-called ‘Circumcision,’ which is performed in the flesh by human hands—” Paul opens this section with the term “Therefore…” This refers back to verses 1-10, which in Greek is one sentence. Gentiles (non-Jews) were literally called by the racist nickname “uncircumcision” or more literally “foreskin” (akrobustia). (1) “Separate from Christ.” The Gentiles had heard nothing about the coming Messiah. They weren’t expecting a Savior to come. (2) “Excluded from the commonwealth of Israel.” The NIV renders this as the Gentiles having no “citizenship” (politeia) in Israel. This could also refer to the legal covenant of having the laws of Israel. (3) “Strangers to the covenants of promise.” They didn’t have the Abrahamic or Davidic covenants from God—even though these covenants had implications for the Gentiles (Gen. 12:3). (4) “Having no hope and without God in the world.” Note how our “hope” in life is connecting directly with God’s existence. “Without God” is the Greek word atheos. (2:14) “For He Himself is our peace, who made both groups into one and broke down the barrier of the dividing wall.” Jesus himself is the (ontological) reason for our peace. Without him, our preaching and teaching would be useless (cf. 1 Cor. 15:12-19). Gentiles were excluded from the Temple. Josephus (a famous first century historian) used these words “barrier” and “dividing wall” to describe the wall which separated the Gentiles from coming into the Temple. Josephus wrote that the temple was “encompassed by a stone wall for a partition, with an inscription which forbade any foreigner [Gentile] to go in under pain of death.” Elsewhere he writes, “No foreigner should go within that sanctuary.” Jewish believers knew that God was near to them (Deut. 4:7), but now, Paul writes that God is near to all people by virtue of the Cross. Of course, in AD 70, this dividing wall was physically destroyed by the Romans. Here Paul argues that the death and resurrection of Jesus spiritually destroyed this barrier in AD 33. (2:15) “by abolishing in His flesh the enmity, which is the Law of commandments contained in ordinances, so that in Himself He might make the two into one new man, thus establishing peace…” It isn’t that the law is “abolished” in the sense that it is annihilated or non-existent. The term katargeo means “to cause something to lose its power or effectiveness, invalidate, make powerless” (BDAG). Because of Jesus, we are released from the power of the law (cf. Rom. 7:6 where the same word is used). (2:16) “and might reconcile them both in one body to God through the cross, by it having put to death the enmity.” Racial reconciliation is now possible through our corporate identity. I can’t hate my brother for being a different race, social class, etc. I can’t exclude or hate someone whom Christ includes and loves. Such a thought is fundamentally inconsistent with my new identity in Christ. (2:17) “And He came and preached peace to you who were far away, and peace to those who were near…” Those who were “far away” are the Gentiles, according to verse 13. Those who are “near” are presumably Jewish believers. How did Jesus preach to all of these people? One interpretation is that he personally did this during his earthly ministry, but this doesn’t seem likely. Instead, Jesus preaches to the world through the Holy Spirit and his Body (i.e. believers). (2:18) “for through Him we both have our access in one Spirit to the Father.” We can’t look down on other races or groups. All people have equal access to God. (2:19) “So then you are no longer strangers and aliens, but you are fellow citizens with the saints, and are of God’s household…” The Gentiles went from “strangers” to “fellow citizens.” They went from “strangers” to “saints.” They went from “aliens” to “[members] of God’s household.” The Gentiles formerly had no rights in God’s kingdom or family. Now they are fellow heirs and on the same footing as anyone else. “…being fitted together…” This is in the passive voice. As the Master Architect, God is fitting us together as he sees fit. If the OT Temple has been replaced, how much more have the Pagan temples of Artemis been replaced? (2:22) “in whom you also are being built together into a dwelling of God in the Spirit.” The new Temple is not segregated like the old one. We are being built “together” to form a new temple. Why does Paul compare the church to a citizenship—rather than being an illegal alien? (v.19) What similarities do you see between our relationship with God and being a political citizen of a country? Why does Paul compare the church to a family?—rather than just a group of people? (v.19) What similarities do you see between our relationship with God and being a member of a family? How are these concepts similar? Where does the analogy break down? Why does Paul compare the church to a temple? (vv.21-22) In what ways is the church similar to the OT Temple? In what ways does the metaphor break down? Do I talk more about my race than I talk about my identity as a Christian? Do I subtly separate from others based on their race? Do I fail to initiate with others because of our differences in race? Paul opens this section by writing the he is being incarcerated for the Gentiles (3:1), and closes this section the same way (3:13). In the middle, Paul argues that this mystery has cosmic consequences—even among the angelic order. Paul’s ministry is tied in with God’s cosmic plan. (3:1) “For this reason I, Paul, the prisoner of Christ Jesus for the sake of you Gentiles…” Imagine getting a phone call from a friend who keeps talking about how great things are going in his marriage, his family, and his job. Then at the end of the phone call, he says, “Oh yeah, and can you offer me some bail money? I’m in the county lockup.” Something similar is happening here with Paul. After a long explanation of the riches of being “in Christ,” Paul tells his readers where he’s sitting while writing: prison! Paul willingly allowed himself to be taken prisoner so that he could reach the Gentiles for Christ. Paul is trying to comfort his audience. He is trying to explain that he is locked up in prison, but everything is okay. How does he comfort his audience? Under the sovereignty of God, Paul viewed himself as Jesus Christ’s prisoner—not Satan’s prisoner or Emperor Nero’s prisoner. If Paul was in prison, it was for the sake of Jesus Christ. Nothing was spinning out of control. In Acts 21-22, we learn that Paul was imprisoned because of defending the Gentiles. Paul not only believed in the dividing wall being torn down (Eph. 2:14ff), but he was locked up because of it! What an emphatic statement that we probably would simply gloss over. This is a sentence fragment. Paul includes a noun, but no verb. Inerrancy allows for grammatical errors like this. Grammar doesn’t apply to inerrancy because poor grammar does not invalidate the truth of a person’s message. For instance, imagine if old Bill from Tennessee testified in a court of law, saying this, “That man ain’t the murderer! I done saw him on the other side of town… He was by mine whiskey still, dag nabbit!” No one could find him guilty of perjury simply because his grammar leaves something to be desired. Moreover, grammatical rules are often somewhat subjective, so this really shouldn’t be a defeater of inerrancy. (3:2) “if indeed you have heard of the stewardship of God’s grace which was given to me for you…” The grace of God relates to Paul’s ministry to the Gentiles, which he considered a stewardship. God graciously entrusted him with this ministry. (3:3) “that by revelation there was made known to me the mystery, as I wrote before in brief.” When Paul writes, “I wrote before in brief,” he is probably referring to the previous chapter where the Gentiles are included in the Body of Christ (Eph. 2:11-22). Later, he will mention that the Gentiles being included in the people of God is the “mystery” to which he is referring (v.6). (3:4) “By referring to this, when you read you can understand my insight into the mystery of Christ…” This is a good passage for perspicuity: the average person can read what Paul wrote and “understand” it—even this deep “mystery” revealed in Christ. (3:5) “which in other generations was not made known to the sons of men, as it has now been revealed to His holy apostles and prophets in the Spirit…” The mystery was not revealed in the OT. It is new revelation. It was “hidden for ages” (v.9). (3:6) “to be specific, that the Gentiles are fellow heirs and fellow members of the body, and fellow partakers of the promise in Christ Jesus through the gospel…” This can’t be the complete extent of the mystery (Jew-Gentile relations), because this sort of thing was revealed in the OT (Gen. 12:2-3; 18:18; 22:18; 26:4; 28:14; Ex. 9:16; Josh. 4:24; 1 Kings 8:41-43; Ps. 72:17; Jer. 4:2; Zech. 8:13; Ezek. 36:22-23; Is. 19:24-25; 37:20; 45:22-23; 52:10; 66:18-19). Jew-Gentile unity is one aspect of the mystery hidden, but another could be the death of the Messiah (see “Why Did Satan Crucify Jesus?”). (3:8) “To me, the very least of all saints, this grace was given, to preach to the Gentiles the unfathomable riches of Christ…” Jewish people looked down on Gentiles for being “sinners.” Here Paul calls himself the worst of all sinners. Then he writes that the worst of sinners is now supposed to preach to the worst of “sinners” (i.e. the Gentiles). (3:9) “and to bring to light what is the administration of the mystery which for ages has been hidden in God who created all things…” This language harkens back to Paul’s earlier statement: “He made known to us the mystery of His will… with a view to an administration suitable to the fullness of the times” (Eph. 1:9-10). God kept this mystery hidden from the beginning of creation. (3:10) “so that the manifold wisdom of God might now be made known through the church to the rulers and the authorities in the heavenly places.” Paul isn’t the only one who will reveal this mystery which was hidden. The entire “church” will shout this from the roof tops. Specifically, God will communicate through the church to the angelic realm. This is one of the reasons that the “mystery” seems to extend beyond merely Jewish and Gentile relations. It has a cosmic scope. (3:12) “in whom we have boldness and confident access through faith in Him.” This is not merely abstract theology. When we realize the incredible plan of God, it reminds us of the bold access we have to come into God’s presence (cf. Eph. 2:18). “Boldness” (parrēsia) means “openness to the public” or “a state of boldness and confidence, courage, confidence, boldness, fearlessness, especially in the presence of persons of high rank” (BDAG). This final definition (“especially in the presence of persons of high rank”) is particularly apropos in view of Paul being on trial in front of the authorities. “Confidence” (pepoithēsis) means “a state of certainty about something to the extent of placing reliance on, trust, confidence” or “assurance about an outcome, confidence” (BDAG). Paul’s confidence was in the fact that he could come into God’s presence through faith. (3:13) “Therefore I ask you not to lose heart at my tribulations on your behalf, for they are your glory.” The suffering or “tribulations” that these believers were dealing with connect with Paul’s own suffering in prison (Eph. 3:1). Is it deceitful that God would allow mysteries or keep secrets from us? After studying the subject “Why Did Satan Crucify Jesus?” we learn that God kept his plan about Jesus’ redemption a secret from everyone—even Satan. Is this just abstract theology? In what way might this help believers as we understand God’s mysterious plan that was revealed through the Cross? Paul prays (again) that they would understand the depth of God’s love (cf. Eph. 1:18-20). Note Paul’s mention of the three persons of the Trinity in his prayer: the Holy Spirit (v.16), the Son (v.17), and the Father (v.19). (3:14) “For this reason I bow my knees before the Father…” Paul picks up where he left off in verse 1 (“For this reason…”). Paul bowed in prayer. This outwardly shows an act of humility, respect, and dependence before God. Christians are not commanded to bow when they pray. This is only Paul’s example—not an imperative. Paul taught us to “pray without ceasing” (1 Thess. 5:17), which must mean that we can’t be bowing at all times. Note that elsewhere, people would stand when they prayed (Lk. 18:11-13). (3:15) “from whom every family in heaven and on earth derives its name…” Paul has already explained that Jews and Gentiles are one giant family “in Christ” (Eph. 2:18-19). Here, he adds that the family of believers is not just on Earth, but also those who have gone to be with the Lord in heaven. (3:16) “that He would grant you, according to the riches of His glory, to be strengthened with power through His Spirit in the inner man…” The “riches” must refer to the riches of his grace and mercy—mentioned earlier (Eph. 1:18; 2:4, 7). To be “strengthened” is the opposite (in the Greek language) from being “discouraged” in verse 13. This strengthening occurs in the “inner being” which is in contrast to the “outer man” (2 Cor. 4:16) that is decaying. God wants inner transformation—not merely external behavioral change. (3:17) “so that Christ may dwell in your hearts through faith; and that you, being rooted and grounded in love…” The term “to dwell” (katoikesai) is in the present continuous sense—that is, an ongoing dwelling of the heart. Many believers walk around with Christ in their heart without allowing him to change their lives (Rev. 3:20). As we allow Christ to make his home in our heart, this leads to stability “being rooted and grounded in love” (Col. 2:7). To be “established” (tethemeliomenoi) is the language of building a structure “to provide a base for some material object or structure, lay a foundation, found” or “to provide a secure basis for the inner life and its resources, establish, strengthen” (BDAG). The God’s love serves as our foundation in life. As we draw strength from his love, we become more stable. We gain this strengthening and stability “through faith.” Faith is the instrument that connects us with the power of God. Our role is to actively trust in the love and security of Christ. (3:18) “may be able to comprehend with all the saints what is the breadth and length and height and depth…” We need to learn about God’s love “with all the saints.” This smacks against the concept of “lone ranger” Christianity. We need community and unity. To “comprehend” (katalabesthai) means “to make something one’s own, win, attain, or to ‘come into possession of an inheritance” (BDAG). We are given this inheritance; now we need to access it and own it through faith. (3:19) “and to know the love of Christ which surpasses knowledge, that you may be filled up to all the fullness of God.” Christ’s love is beyond reason—not against reason. Paul must be referring to an experiential knowledge of Christ. (3:20) “Now to Him who is able to do far more abundantly beyond all that we ask or think, according to the power that works within us…” This prayer might seem impossible. Yet Paul closes the prayer by acknowledging the raw omnipotence of God. Consider what this means as we sit before God in prayer: He is able to answer anything. We don’t pray too much, but too little. We don’t ask for too much, but too little. (3:21) “to Him be the glory in the church and in Christ Jesus to all generations forever and ever. Amen.” God gets all of the glory for his incredible work through the Church. Based on verse 15, compare and contrast praying to God as our owner or boss versus praying to God as our Father. Based on verse 16, compare and contrast inner change and external behavioral change. How are they different? How are they similar? Compare and contrast experiential knowledge and propositional knowledge. How are these different? How are they similar? Before we move into chapters 4 through 6, remember that Paul has given virtually no imperatives so far. The only imperative we have read is to “remember” our former way of life (2:12). Chapters 4 through 6 are riddled with imperatives, but these are based on the indicatives of chapters 1 through 3. If God came and spoke to you in a dream, what would you expect him to say? Many people expect that he would begin by barking orders. But not the God of the Bible! He would begin talking about what he has done for you and how much he loves you. These imperatives only make sense in light of the first half of the book. (4:1) “Therefore I, the prisoner of the Lord, implore you to walk in a manner worthy of the calling with which you have been called…” Paul didn’t believe he was a prisoner of Rome, a prisoner of Satan, or a prisoner of his enemies. If he was chained to a Roman guard, then the chains belonged to the “Lord.” Earlier he called himself a “prisoner of Christ Jesus” (Eph. 3:1). With the exception of a brief imperative in 2:12, here is the first imperative in the entire book. If all of this is true of us who are “in Christ,” we should live consistently with what’s true. Patience (makrothymia) can be defined as the “state of remaining tranquil while awaiting an outcome, patience, steadfastness, endurance” (BDAG). It can refer to the preparation of battle. Brown writes, “Being strictly military terms, the various words are readily used as metaphors in connection with the battles of life.” This is the ability to wait on God before the battle and not hit the panic button. This refers to waiting on God “in season or out of season” (2 Tim. 4:2). Jesus is the ultimate example of these virtues. He lived a servant’s life, washing dirty feet, leaving his throne in heaven, and dying the death of a traitor—being crucified naked on a Cross. (4:3) “being diligent to preserve the unity of the Spirit in the bond of peace.” We aren’t told to create unity. 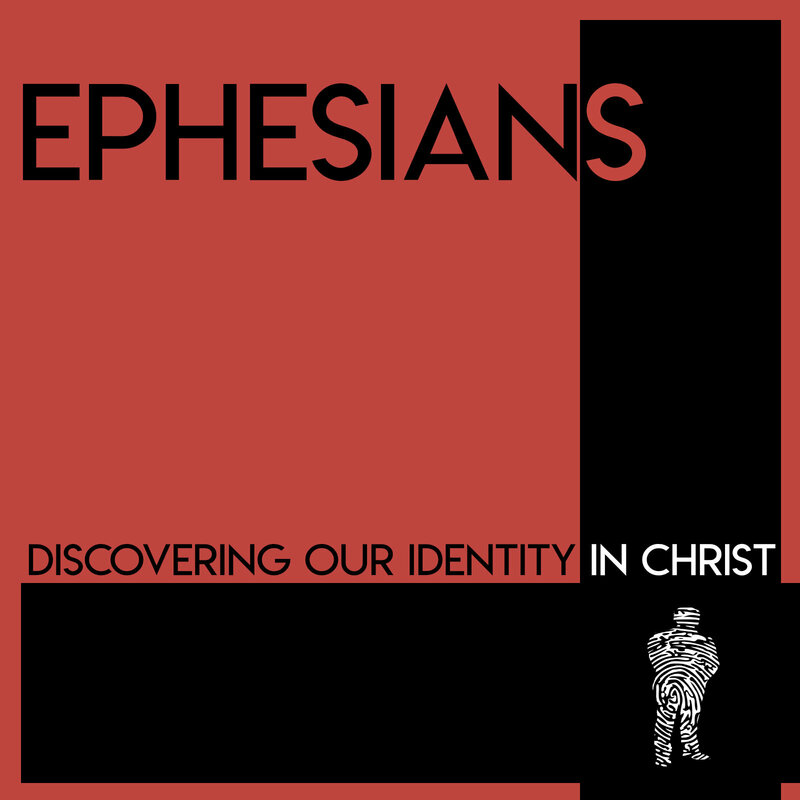 Instead, our collective and corporate identity is “in Christ” (Eph. 2:13-18). So we are told to “preserve” what is already true of us. This term (terēo) means “to retain in custody, keep watch over, guard” or “to cause a state, condition, or activity to continue, keep, hold, reserve, preserve” (BDAG). While the immediate application is between hostile racism (i.e. Jews and Gentiles), how much more should believers resolve their minor differences between friends? To be “diligent” (spoudazontes) refers to being “in a hurry” or “to be especially conscientious in discharging an obligation, be zealous/eager, take pains, make every effort, be conscientious” (BDAG). (4:5) “one Lord, one faith, one baptism…” Here are more reasons why we are unified: we have one Lord, one faith, one baptism. (4:6) “one God and Father of all who is over all and through all and in all.” This shows the transcendence of God (“over all”), the sovereignty of God (“through all”), and the imminence of God (“in all”). Note the three members of the Trinity in verses 4-6. (4:7) “But to each one of us grace was given according to the measure of Christ’s gift.” Christ has given grace to different members in the context of ministry (see verse 11 and following). “Each” individual believer has a gift that Christ has given to them for the purpose of serving him. (4:8) “Therefore it says, ‘When He ascended on high, He led captive a host of captives, and He gave gifts to men.’” We deal with the theological questions regarding this citation of Psalm 68 below. However, the main point of this passage is that Jesus has passed out gifts to his people after his victory on the Cross. (4:11) “And He gave some as apostles, and some as prophets, and some as evangelists, and some as pastors and teachers…” God has gifted the Body of Christ differently, and we shouldn’t be jealous of one another’s gifts. After all, we don’t wake up jealous of God’s gift of the sun. We just appreciate it and get warmed by it. Similarly, when others have greater gifts than ourselves, we need to learn to give thanks for them, rather than having jealousy. Rather than viewing these gifts as being given for us, Paul seems to be saying that God gave these gifts for the church. That is, he gave the church apostles, prophets, evangelists, pastors, and teachers. Learn to thank God for the people he has gifted to serve the church. Philip was so gifted in evangelism that he is simply called “Philip the evangelist” (Acts 21:8). (4:13) “until we all attain to the unity of the faith, and of the knowledge of the Son of God, to a mature man, to the measure of the stature which belongs to the fullness of Christ.” Note that we already have unity with other believers (v.3), but we do not have unity in faith here. This is a vision for the church to pursue. It doesn’t matter if my spiritual gifts and ministry are doing well if the rest of the Body of Christ is crumbling. We “all” need to strive together. Instead of thinking about me, I need to think about we. (4:14) “As a result, we are no longer to be children, tossed here and there by waves and carried about by every wind of doctrine, by the trickery of men, by craftiness in deceitful scheming…” Paul contrasts the maturity of adulthood in verse 13 with the immaturity of childhood in this verse. (4:15) “but speaking the truth in love, we are to grow up in all aspects into Him who is the head, even Christ…” The way to identify a mature believer who has “grown up” is whether or not they “speak the truth in love.” Not only do they know the “truth” from being equipped (v.13), but they also have developed character and ministry skills to adequately “love” others with the truth that they know. (4:16) “from whom the whole body, being fitted and held together by what every joint supplies, according to the proper working of each individual part, causes the growth of the body for the building up of itself in love.” While we might spend a lot of time on building up the quality of the Body of Christ (v.13), the goal is for the Body of Christ to grow in quantity as well. The two are integrally connected. The “proper working” (epichorēgia) is where we get our term choreography. The Body of Christ needs to work together as a unit. Based on verse 2, what does it look like to tolerate a person versus actively love them? Based on verse 3, compare and contrast unity in a social club versus the unity we have in Christ. How are they similar? How are they different? What are creative ways that we might preserve the unity we have in Christ? What is our role in developing each of these key components to biblical community? What is God’s role? (4:17) “So this I say, and affirm together with the Lord, that you walk no longer just as the Gentiles also walk, in the futility of their mind…” It’s possible to be a Christian, but not walk with Christ. The term “futility” (mataiotes) refers to a “state of being without use or value, emptiness, futility, purposelessness, transitoriness” (BDAG). Elsewhere, Paul writes, “For even though they knew God, they did not honor Him as God or give thanks, but they became futile in their speculations, and their foolish heart was darkened” (Rom. 1:21). Once we remove the Creator of the world from our worldview, we also remove the answers to many key aspects of life (e.g. meaning, purpose, moral values, etc.). (4:18) “being darkened in their understanding, excluded from the life of God because of the ignorance that is in them, because of the hardness of their heart…” Those who don’t know Christ cannot say that they are “ignorant” in the modern sense—meaning they simply lack the adequate information. Paul writes elsewhere that humans “suppress the truth in unrighteousness” (Rom. 1:18). Thus the problem isn’t a lack of knowledge, but a suppression of it. The reason they are ignorant is because of the “hardness of their heart” and their suppression of truth. (4:19) “and they, having become callous, have given themselves over to sensuality for the practice of every kind of impurity with greediness.” When we divorce ourselves from God, we experience the pain and despair of living apart from him. Just like callouses might form on the worn hands of a construction worker, Paul says that our own hearts can become “callous.” We all know what it’s like to develop callouses on our fingers. Callouses dull the skin to sensation over time (e.g. a guitar player gets callouses on his fingertips). Such a thing can happen to your heart! By continually rejecting God, we can build up an insensitivity to the conviction of the Holy Spirit. Just as verse 18 reflects Romans 1:18-23, so too verse 19 reflects Paul’s repeated statement that God “gave them over” to their own desires (Rom. 1:24, 26, 28). How would you be able to identify if someone was suffering from a hardened heart? What warning signs would you see before this process took an effect on a person? (4:20) “But you did not learn Christ in this way…” Paul contrasts this entire worldview and way of life with the Christian world and life view. (4:22-24) “that, in reference to your former manner of life, you lay aside the old self, which is being corrupted in accordance with the lusts of deceit, 23 and that you be renewed in the spirit of your mind, 24 and put on the new self, which in the likeness of God has been created in righteousness and holiness of the truth.” This passage is parallel to Paul’s excursus in Romans 6-8. If sin starts in the mind, then it needs to be changed in the mind. We can’t jump to changing behavior. We need to remember our new identity and have a change of thinking before acting. As we reflect on our new life in Christ, we can fill that empty void and start to live for others. (4:25) “Therefore, laying aside falsehood, speak truth each one of you with his neighbor, for we are members of one another.” Paul is probably quoting Zechariah 8:16. The reason that we shouldn’t lie is (1) lying is fundamentally inconsistent with the “truth” found in Jesus (v.21) and (2) lying is inconsistent with being “members of one another.” He doesn’t base his argument on individual identity, but corporate identity. Unity in the Body of Christ is more important than my ego. Lying breaks down trust, which breaks down the community. (4:26) “Be angry, and yet do not sin; do not let the sun go down on your anger…” Paul cites Psalm 4:4. Here, he shows that there is a difference between righteous and unrighteous anger. It’s possible (in fact commanded) to “be angry.” (For more on this topic, see our earlier article “Anger”). (4:27) “and do not give the devil an opportunity…” How does anger give Satan an “opportunity”? When we are embroiled with bitterness (internally) or lashing out at one another (externally), Satan can cause division or mistrust to fester. Elsewhere, Paul states that one of Satan’s “schemes” is to capitalize on situations where we refuse to forgive (cf. 2 Cor. 2:10-11). (4:28) “He who steals must steal no longer; but rather he must labor, performing with his own hands what is good, so that he will have something to share with one who has need.” The reason that we should work hard is so that we can become a giver. Sluggards think of meeting their own needs, sometimes through stealing and other times through mooching off of the Body of Christ. They need to learn to work, so they can become givers to the true needy. (4:29) “Let no unwholesome word proceed from your mouth, but only such a word as is good for edification according to the need of the moment, so that it will give grace to those who hear.” The term “unwholesome” (sapros) was used of rotten trees (Mt. 7:17-18), rotten fruit (Mt. 12:33), and rotten fish (Mt. 13:48). BDAG defines sapros as “bad or unwholesome to the extent of being harmful, bad, evil, unwholesome.” Proverbs says, “There is one who speaks rashly like the thrusts of a sword, but the tongue of the wise brings healing” (Prov. 12:18). (4:30) “Do not grieve the Holy Spirit of God, by whom you were sealed for the day of redemption.” In this context, grieving the Holy Spirit refers to disunity in Christian community. Note that we can “grieve” the Holy Spirit, but we are still “sealed” with the Spirit (Eph. 1:13-14). This shouldn’t lead us into a state of guilt. The Holy Spirit isn’t grieved for His own sake, but for our sakes, because we aren’t experiencing the full life that God has for us. “Bitterness” (pikria) can refer to a bitter taste (as the word is also used in English), but in this context it means “bitter in an affective sense, bitterness, animosity, anger, harshness” (BDAG). Aristotle used the term to refer to people who are “hard to be reconciled” (Nicomachean Ethics 4.11). “Wrath” (thymos) refers to an “intense expression of the inner self, frequently expressed as strong desire, passion, passionate longing” (BDAG; see Rev. 14:8 “passion”). Here it is used of “a state of intense displeasure, anger, wrath, rage, indignation” (BDAG). “Anger” (orgē) means a “state of relatively strong displeasure, with focus on the emotional aspect” (BDAG). Jesus showed anger (Mk. 3:5), as does God (Heb. 3:11; Rom. 12:19). Scripture teaches us to be “slow to anger” (Jas. 1:19), or as Paul put it earlier to “be angry, but do not sin” (v.26). (Again, see our earlier article “Anger”). “Clamor” (kraugē) is translated “harsh words” (NLT) or “brawling” (NIV). It is defined as “a loud cry or call” or “literally a shout” (BDAG; see Acts 23:9). This would refer to shouting matches or raising your voice at others in an unrighteous way—probably to intimidate, scare, or punish a person with a loud display of anger. “Slander” (blasphēmia) refers to “speech that denigrates or defames, reviling, denigration, disrespect, slander” (BDAG). “Malice” (kakia) is “the quality or state of wickedness, baseness, depravity, wickedness, vice” or “a mean-spirited or vicious attitude or disposition, malice, ill-will, malignity” (BDAG). (4:32) “Be kind to one another, tender-hearted, forgiving each other, just as God in Christ also has forgiven you.” Here are the positive aspects of the new self. “Kind” (chrēstos) has a broad semantic range. It can be translated as “kind, loving, benevolent” (BDAG). It is translated as “easy” when Jesus teaches that his “yoke is easy” but his burden is light (Mt. 11:30). “Tender-hearted” (eusplagchnos) is to have “tender feelings for someone, compassionate” (BDAG). “Forgiving” (charizomai) means “to give freely as a favor, give graciously” (BDAG; see Rom. 8:32). It is also rendered “to cancel a sum of money that is owed, cancel” or “to show oneself gracious by forgiving wrongdoing, forgive, pardon” (BDAG). The same word is used of how God has forgiven us in this same verse. The solution to the overt sin in verse 31 is not to make people “nicer.” The solution is learning how to be kind, forgiving, and compassionate—actively loving the people around us. Based on verse 25, how would you counsel a fellow believer who was a compulsive liar? What would you share that might help them grow in this area? Based on verse 26, what is the difference between righteous and unrighteous anger? What are some examples of righteous anger? What is the difference between righteous and unrighteous anger? Based on verse 27, in what way do you think Satan might use unrighteous anger in Christian community? Based on verse 28, compare and contrast the mindset of a person who is living to take versus living to give to others. What are subtle ways that we might identify these mindsets in someone’s life? (5:1) “Therefore be imitators of God, as beloved children…” What is the basis for imitating God? The basis is our new identity, having been changed from children of wrath (Eph. 2:1) to children of God. (5:2) “and walk in love, just as Christ also loved you and gave Himself up for us, an offering and a sacrifice to God as a fragrant aroma.” What is the basis for loving others? The basis is that Christ loved us first (“…just as Christ also loved you and gave Himself up for us…”). What type of love is Paul describing? He is referring to nothing less than sacrificial love, because he uses Jesus’ sacrificial death as the indicative. Since the death of Jesus is pictured as a “fragrant aroma,” this must mean that God accepted his substitutionary death for us. When he writes that these should not be “named,” it means that these aren’t “fitting” (NET) or “have no place” (NIV) with the new identity. After all, God doesn’t engage in such things, and we’re children of God (v.1). Wood notes that sexual immorality “was tolerated in the permissive pagan society of Paul’s day.” Paul is being countercultural in calling for this. “Filthiness” (aischrotēs) is the only usage of this term in the NT. It refers to “behavior that flouts social and moral standards, shamefulness, obscenity” (BDAG). (5:5) “For this you know with certainty, that no immoral or impure person or covetous man, who is an idolater, has an inheritance in the kingdom of Christ and God.” Non-believers (i.e. those who lack a new identity in Christ) will never inherit the kingdom. (5:6) “Let no one deceive you with empty words, for because of these things the wrath of God comes upon the sons of disobedience.” Notice the present tense. God’s wrath currently comes down on unbelievers, because he “gave them over” (Rom. 1:24-28) or “have given themselves over” (Eph. 4:18) to an empty and damaging way of life. (5:7) “Therefore do not be partakers with them…” Why would we partake with non-believers if we know where that leads for them? Their lifestyle leads to God’s passive wrath (i.e. giving them over). Why would we want to follow them down this path? (5:9) “(for the fruit of the Light consists in all goodness and righteousness and truth)” This is similar to 1 Thessalonians 5:5. Here, Paul defines what “light” looks like. He doesn’t want to be misunderstood (by proto-Gnostic teachers). “Light” doesn’t result in licentiousness or asceticism (as Gnosticism taught). Instead, God’s revelation results in love, goodness, etc. (5:11, 13) “Do not participate in the unfruitful deeds of darkness, but instead even expose them… But all things become visible when they are exposed by the light, for everything that becomes visible is light.” To “expose” (elenchete) means “to scrutinize or examine carefully, bring to light, expose, set forth” or “to bring a person to the point of recognizing wrongdoing, convict, convince someone of something point something out to someone” (BDAG). It can also be used in the sense of reproof or rebuke (2 Tim. 4:2; 1 Tim. 5:20). We expose false beliefs and sin through our lifestyle of love, worldview analysis, persuasion, sharing our faith, etc. This does not refer to picketing non-Christians. Instead, it refers to exposing darkness by letting in the light of a changed mind and life. Paul could also be arguing that because believers have been changed and transformed by God that this could serve as an example to the non-believer. Verse 14 is a call for the non-believer to receive the light of Christ also. (5:12) “for it is disgraceful even to speak of the things which are done by them in secret.” Fitting with his theme above about filthy language, there are some acts that are inappropriate to even speak about. (5:14) “For this reason it says, ‘Awake, sleeper, and arise from the dead, and Christ will shine on you.’” Paul is not citing any direct OT Scripture here—though it may be an allusion to passages from Isaiah 9:2; 26:19; 51:17; 52:1; 60:1. While big decisions aren’t always in Scripture (e.g. dating, marriage, career, investments, etc. ), we have a biblical imperative to be wise in these areas. We only have one shot to make it count for eternity, so we shouldn’t waste our time. (5:16) “making the most of your time, because the days are evil.” How does “making the most of our time” relate to the fact that “the days are evil”? Paul must be warning us that we are surrounded by the world system which is vying for our attention and affections. We face a tacit and continuous pull toward temporary and transitory pursuits. (5:17) “So then do not be foolish, but understand what the will of the Lord is.” Since the issue of wisdom is not explicitly taught with big decisions (e.g. marriage, career, investments), Paul doesn’t seem to be thinking of God’s explicit moral will (e.g. adultery is wrong, murder is wrong). He must be thinking of God’s implicit will in the grey areas of life. (5:18) “And do not get drunk with wine, for that is dissipation, but be filled with the Spirit…” Drunkenness is mutually exclusive with being filled with the Spirit. As we are filled with the Spirit and being fulfilled with him, we don’t feel the need to turn to drunkenness. Interestingly, Wood points out, “On the day of Pentecost the effect of such an experience was mistaken for drunkenness.” Being filled with the Spirit has an ecstatic effect on the believer. By this, we do not mean irrational or bizarre behavior. Instead, we mean that believers experience a lifting of their spirit when they are filled with the Spirit. This doesn’t refer to being sealed with the Spirit, but being filled with him. This is an ongoing and daily opportunity. (5:19) “speaking to one another in psalms and hymns and spiritual songs, singing and making melody with your heart to the Lord…” Speaking the psalms to one another can fill us with the Spirit. In this case, Paul wants us to sing in our own hearts to God. This can fill us with the Spirit. (5:20) “always giving thanks for all things in the name of our Lord Jesus Christ to God, even the Father…” Giving thanks to God fills us with his Spirit (see “The Lost Virtue of Gratitude”). Even after a few minutes of giving thanks, we experience our spirits are lifted and our soul experiences God’s peace (Phil. 4:6). (5:21) “Be subject to one another in the fear of Christ.” This participle (“submitting to one another” ESV) seems to show how to be filled with the Spirit. When we develop a Christ-like attitude of servanthood and humility to others, God fills us with his Spirit. It’s funny how serving others in love can lift our spirits and change our emotions and subjective feelings. Since the content of this passage is so similar to verse 22 and following about marriage, scholars debate if this passage looks backward or forward. Commentators sometimes call these “Janus verses” based on the Roman god Janus who had two faces: one looking backward and one looking forward. Thus verse 21 could look both backward to being “filled with the Spirit” (v.18) and forward to the humble attitude needed in marriage, work, and home life. Without the filling of the Spirit, how can we have the attitudes and behaviors Paul describes regarding marriage, work, and home life? Christian marriage counselors sometimes refer to these sections as “mail” written to different people. Here, Paul is writing to wives, and later, he writes to husbands. But we shouldn’t “read each other’s mail.” That is, wives need to take to heart what is written to them, and husbands should take to heart what was written to them too. We shouldn’t use these passages against each other, but strive to do our part in making marriage work. (5:22) “Wives, be subject to your own husbands, as to the Lord.” The words “be subject” are not in the Greek. Commentators (rightly) infer these words from the previous verse, where we are supposed to “be subject to one another,” as well as verse 24, where the term is explicitly used. Any teaching on the authority of a husband in the home should be understood through the lens of mutual submission and humility (v.21). Note that this submission to her husband’s leadership is voluntary. For one, it is voluntary in whom she chooses to marry. Secondly, this is the daily decision of a wife to listen to and respect her husband’s initiative. As a wife, will you voluntarily choose to submit to your husband’s sacrificial leadership? Will you respond to his (imperfect) efforts to initiate love and spiritual conversation? (5:24) “But as the church is subject to Christ, so also the wives ought to be to their husbands in everything.” This would mean to “respect” her husband’s leadership and initiation (v.33). (5:25) “Husbands, love your wives, just as Christ also loved the church and gave Himself up for her…” Husbands take their example from Christ. If necessary, the husband is even supposed to die for his wife. Since the husband and wife are one flesh, loving your spouse is like loving yourself. Think of how much time we spend thinking about ourselves—this is how we’re supposed to love our wife (v.28, 33). Husbands are supposed to “love” (agapate) their wives and lead the home as servant-leaders—like Christ led. One of the biggest complaints in marriage counseling is that wives are frustrated with their husbands’ lack of initiation and servant-leadership in the household. Elsewhere, Paul writes that husbands “should not be harsh” with their wives (Col. 3:19 NIV). (5:26) “so that He might sanctify her, having cleansed her by the washing of water with the word…” Jesus sanctified us through baptism and his word. In this passage, Paul is using the term sanctification to refer to Jesus’ role—not ours. (5:27) “that He might present to Himself the church in all her glory, having no spot or wrinkle or any such thing; but that she would be holy and blameless.” This looks back to Jesus’ work in making the church “holy and blameless” (Eph. 1:4). Again, this isn’t something that we do, but something he has done for us. (5:29-30) “for no one ever hated his own flesh, but nourishes and cherishes it, just as Christ also does the church, 30 because we are members of His body.” Paul directs husbands to look at the example of Jesus, who loves and nourishes the Body of Christ. (5:31) “For this reason a man shall leave his father and mother and shall be joined to his wife, and the two shall become one flesh.” Paul cites Genesis 2:24. (5:32) “This mystery is great; but I am speaking with reference to Christ and the church.” Paul understands that the picture of marriage in some mysterious way reflects the love of Christ for his Church. When people enter the Body of Christ, they are supposed to see the love of God (Jn. 13:33-34; 17:21, 23). Likewise, Christian marriages are supposed to reflect God’s love to the world. (5:33) “Nevertheless, each individual among you also is to love his own wife even as himself, and the wife must see to it that she respects her husband.” Is there significance to the fact that wives are supposed to show respect, while husbands are supposed to show love? Is there a difference in how we are created that we benefit from the one more than the other? Or perhaps, does each spouse have more of a felt-need for one rather than the other? Young adults still want a successful marriage, but less are getting married. What might be some reasons for this phenomenon? Marriage [is] an outdated institution. Can put your friendships at risk. Relying on one individual for every emotional need. Requires a serious commitment of time and energy. Plenty of marriages… end up in a divorce. [A good alternative is] a civil union. Which statements do you think Christians can agree on? Which do you disagree with? Why? What are some ways to get prepared for marriage, if we’re single? (6:1) “Children, obey your parents in the Lord, for this is right.” This refers to “children” (BDAG), not grown adults. Women give birth to children (1 Tim. 2:15; cf. 5:14), so little children must be in view. It can be translated as “descendants,” but context must inform our interpretation. Wood notes, “It is interesting that Paul addresses children directly.” Children were able to hear the Word of God and respond to it. This also shows that children are valuable—especially if they are being directly addressed. “In the Lord” must speak to the teaching of the Lord Jesus. In other words, children shouldn’t submit if their parents are asking them to disobey a direct teaching of the Bible (e.g. violence, stealing, etc.). (6:2-3) “Honor your father and mother (which is the first commandment with a promise), 3 so that it may be well with you, and that you may live long on the earth.” Paul cites the 5th commandment (Ex. 2012; Deut. 5:16). “Honor” (tima) means “to set a price on, estimate, value” or “to show high regard for, honor, revere” (BDAG). This teaches us to value the relationship with our parents—even though they are sinful—and to honor them wherever we can. When Paul refers to the “first commandment,” this doesn’t mean that this is the first one listed (it’s actually the fifth—not the first). Instead, Paul is saying, “This is the first commandment that also has a promise attached to it.” In the Ten Commandments, this passage is the first one to specifically tell us “that it may be well with you” (v.3). In other words, the reason why we should submit to authority in the home is because it is good for us. God will show “lovingkindness” to those who “keep [His] commandments” (Deut. 5:10). “Bring them up” (ektrephete) means “to provide food, nourish” as well as “to bring up from childhood, rear, bring up” (BDAG). This implies providing for them both physically and spiritually. “Discipline” (paideia) means “the act of providing guidance for responsible living, upbringing, training, instruction… discipline, correction” (BDAG). A Christian father’s discipline is not one of “anger” or “exasperation,” but a form of love. “Instruction” (nouthesia) comes from the root words nous (“mind”) and tithēmi (“put”). It can be defined as “counsel about avoidance or cessation of an improper course of conduct, admonition, instruction” (BDAG). Christian fathers should put the truth of God on their children’s minds, direct them, correct them, and encourage them. This is all done in love for the child. Why would obeying parents be good for us and the family unit? Are there ever times when we would be obligated not to obey our parents? What are some ways to prepare for parenting, if you’re not a parent yet? (6:6) “not by way of eyeservice, as men-pleasers, but as slaves of Christ, doing the will of God from the heart.” “Eyeservice” refers to “working hard only when their master is watching them.” Wood also notes that most slaves had no reason to work hard, because they owned none of the property or the profits. This imperative would have been a way to show that these Christian slaves were distinct, working hard for those in charge of them, while other slaves dragged their feet. For modern application, this would apply to Christian workers making a concerted effort in the workplace to serve well in their roles. (6:7) “With good will render service, as to the Lord, and not to men.” Slavery would feel like a completely hopeless and meaningless existence. Paul notes that God is watching their labor of love to reach their masters, and he will personally reward them (v.8). (6:8) “knowing that whatever good thing each one does, this he will receive back from the Lord, whether slave or free.” In a world where slaves received nothing for their labor, here Paul shows that slaves will be richly compensated by God himself. Moreover, both “slaves and free” will be evaluated by the Lord. This would have been a countercultural concept in the first century. (6:9) “And masters, do the same things to them, and give up threatening, knowing that both their Master and yours is in heaven, and there is no partiality with Him.” There probably weren’t a lot of Christian slave masters in the first-century, but there must have been some (e.g. Philemon). Otherwise, why would Paul include this? Paul targets the hearts of the slave masters. Rather than calling for abolition directly, he calls for empathy, fairness, and love. He also places them on the same footing as the slaves who have the same “Master” in heaven. (6:11) “Put on the full armor of God, so that you will be able to stand firm against the schemes of the devil.” Paul was chained to a Roman guard when he wrote this letter, so he may have gotten his idea on this section by looking at this Roman soldier sitting next to him. Though, Wood notes that “it is not altogether certain that such a custodian would have been in full battle dress.” All the same, Paul probably had a lot of time to talk to the Roman guards about their service and warfare. The term for “schemes” is methodeias (or “methods” of the Devil; cf. Eph. 4:14). “Rulers” (archoi) were defeated by Jesus (Eph. 4:9). “In the heavenly realms” (hoi epouranioi) could refer back to “the prince of the power of the air” (Eph. 2:2). (6:13) “Therefore, take up the full armor of God, so that you will be able to resist in the evil day, and having done everything, to stand firm.” The “evil day” could look back to the fact that “the days are evil” (Eph. 5:16). (6:14) “Stand firm therefore, having girded your loins with truth…” Paul cites Isaiah 11:5 and 59:17, which in context refer to the Messiah’s armor or Yahweh’s armor. Could it be that because we are “in Christ” that we gain Jesus’ armor? After all, we find truth in Jesus (Eph. 4:21), why not his spiritual armor as well? The belt in Roman armor served as the “jock strap” that would hold all of the other armor and weapons together. God’s truth is central to our battle with Satan. If we rest in our own abilities or competence, we will surely lose an argument with him. The definition requires someone to believe that absolute moral truth exists; that the source of moral truth is the Bible; that the Bible is accurate in all of the principles it teaches; that eternal spiritual salvation cannot be earned; that Jesus lived a sinless life on earth; that every person has a responsibility to share their religious beliefs with others; that Satan is a living force, not just a symbol of evil; and that God is the all-knowing, all-powerful maker of the universe who still rules that creation today. He found that only 5% of Americans held to a biblical worldview! (6:15) “…and having shod your feet with the preparation of the gospel of peace…” Josephus describes the shoes of Romans soldiers as being “full of thick and sharp nails” (Josephus, Jewish War, 6.1.85). Roman soldiers needed strong traction and good shoes in battle. If you slipped during a fight, you would become vulnerable to be trampled or stabbed. The “gospel of peace” might refer to our message for others. Jesus said that believers should remain on the offensive—not the defensive (Mt. 16:18). It could also refer to the peace that we have with God through Christ. Perhaps, both understandings are in view. (6:16) “In addition to all, taking up the shield of faith with which you will be able to extinguish all the flaming arrows of the evil one.” The Roman shield “consisted of two layers of wood glued together, covered with linen and hide, and bound with iron. Soldiers often fought side by side with a solid wall (testudo) of shields. But even a single-handed combatant found himself sufficiently protected. After the siege of Dyrachium, Sceva counted no less than 220 darts sticking into his shield.” This is probably not a separate piece of armor, but our trust in the armor we have. The word “faith” is synonymous with “trust.” As we recite the great truths of Scripture, we need to exert personal trust in the fact that these are true. While we might feel one way, we need to remember what is actually true of us. Note that believers do not merely deflect the arrows through faith, but they “extinguish” them. This must refer to refuting Satan’s accusations toward us, others, or God. It’s hard for us to discern true “faith” in others, but Satan can see directly through unbelief or phony trust in God, as he did with the seven sons of Sceva (Acts 19:13-16). (6:17) “And take the helmet of salvation…” Again, Paul cites Isaiah 59:17 to show that Yahweh wore (wears) this helmet. Going along with the notion of our position in Christ, we need to rest in God’s love for us—not our moral perfection. This involves declaring the great truths of justification and security in Christ to God, to Satan, and to ourselves (Rom. 8:31-33). We need to outwardly and verbally express the confidence of our salvation (1 Jn. 5:13). (6:18) “With all prayer and petition pray at all times in the Spirit, and with this in view, be on the alert with all perseverance and petition for all the saints.” Here prayer refers outward to others (“petition for all the saints… that utterance may be given to me in the opening of my mouth”). This refers to getting believers grounded and rooted and for sharing the message of Christ (vv.19-20). (6:19) “Pray on my behalf, that utterance may be given to me in the opening of my mouth, to make known with boldness the mystery of the gospel.” Paul needed prayer. How often do we ask others to pray for us? Why would we hesitate? Note that Paul doesn’t ask that they would pray for non-Christians (though other passages certainly teach this; cf. 1 Tim. 2:1ff). Instead, he asks them to pray for him—that he would have the right words to share when he opens his mouth. “Boldness” (en parrhēsia) implies that Paul struggled with fear; otherwise, he never would’ve asked for this. In fact, he prays for this twice (v.20). “In chains” is actually singular. It probably refers to the chain connecting him with his guard (cf. Acts 28:20). (6:23) “Peace be to the brethren, and love with faith, from God the Father and the Lord Jesus Christ.” This summarizes the main themes that Paul wrote in Ephesians: peace with God and fellow believers, love, and faith. Why does Paul compare his work of evangelism to being an ambassador? In what ways are Christian “ambassadors” and political “ambassadors” similar? In what ways are they different? Blomberg, Craig. From Pentecost to Patmos: an Introduction to Acts through Revelation. Nashville, TN: B & H Academic, 2006. 304. Wood, A. S. (1981). Ephesians. In F. E. Gaebelein (Ed. ), The Expositor’s Bible Commentary: Ephesians through Philemon (Vol. 11, p. 47). Grand Rapids, MI: Zondervan Publishing House. Wood, A. S. (1981). Ephesians. In F. E. Gaebelein (Ed. ), The Expositor’s Bible Commentary: Ephesians through Philemon (Vol. 11, p. 4). Grand Rapids, MI: Zondervan Publishing House. John Stott writes, “The Pauline authorship of Ephesians was universally accepted from the first century until the beginning of the nineteenth.” John Stott, God’s New Society: The Message of Ephesians (Downers Grove, Ill.: InterVarsity Press, 1979), 16-17. Wood, A. S. (1981). Ephesians. In F. E. Gaebelein (Ed. ), The Expositor’s Bible Commentary: Ephesians through Philemon (Vol. 11, p. 3). Grand Rapids, MI: Zondervan Publishing House. Wood explains that Paul may have written from prison in (1) Rome, (2) Ephesus, or (3) Caesarea. However, he follows the traditional view that Paul wrote from Rome. Wood, A. S. (1981). Ephesians. In F. E. Gaebelein (Ed. ), The Expositor’s Bible Commentary: Ephesians through Philemon (Vol. 11, p. 15). Grand Rapids, MI: Zondervan Publishing House. John Stott, God’s New Society: The Message of Ephesians (Downers Grove, Ill.: InterVarsity Press, 1979), 17. Gundry writes, “The phrase ‘in Ephesus,’ which refers to the locale of the addresses (1:1), is missing in the most ancient manuscripts. Thus Paul omits the geographical location of the addresses altogether.” Gundry, Robert Horton. A Survey of the New Testament. 4th Edition ed. [Grand Rapids]: Zondervan Pub. House, 2003. 422. John Stott writes, “The words ‘at Ephesus’ are not to be found, however, in the earliest Pauline papyrus (Chester Beatty 46) which dates from the second century. Origen in the third century did not know them, and they are absent from the great fourth-century Vatican and Sinaitic codices. The matter is further complicated by the fact that Marcion in the middle of the second century referred to Ephesians as having been addressed ‘to the Laodiceans’. Since Paul himself directed the Colossians both to see that his letter to them be read ‘in the church of the Laodiceans’ and that they themselves ‘read also the letter from Laodicea’, some have thought that this so-called ‘letter from Laodicea’ was in fact our ‘Ephesians’, and that he was instructing the churches to exchange the two letters which they had received from him. Certainly Tychicus was the bearer of the two letters.” John Stott, God’s New Society: The Message of Ephesians (Downers Grove, Ill.: InterVarsity Press, 1979), 23-24. Wood, A. S. (1981). Ephesians. In F. E. Gaebelein (Ed. ), The Expositor’s Bible Commentary: Ephesians through Philemon (Vol. 11, p. 9). Grand Rapids, MI: Zondervan Publishing House. Wood, A. S. (1981). Ephesians. In F. E. Gaebelein (Ed. ), The Expositor’s Bible Commentary: Ephesians through Philemon (Vol. 11, p. 10). Grand Rapids, MI: Zondervan Publishing House. This was originally suggested by Marcion. However, be wary, because Marcion was a heretic! Also, there are no early manuscripts which indicate that this letter was written to the Laodiceans. Blomberg, Craig. From Pentecost to Patmos: an Introduction to Acts through Revelation. Nashville, TN: B & H Academic, 2006. 304. Wood, A. S. (1981). Ephesians. In F. E. Gaebelein (Ed. ), The Expositor’s Bible Commentary: Ephesians through Philemon (Vol. 11, p. 12). Grand Rapids, MI: Zondervan Publishing House. Blomberg, Craig. From Pentecost to Patmos: an Introduction to Acts through Revelation. Nashville, TN: B & H Academic, 2006. 306. In the Greek, these 32 consecutive words are exactly the same. Blomberg, Craig. From Pentecost to Patmos: an Introduction to Acts through Revelation. Nashville, TN: B & H Academic, 2006. 304. Gundry, Robert Horton. A Survey of the New Testament. 4th Edition ed. [Grand Rapids]: Zondervan Pub. House, 2003. 421. Blomberg, Craig. From Pentecost to Patmos: an Introduction to Acts through Revelation. Nashville, TN: B & H Academic, 2006. 307. Wood, A. S. (1981). Ephesians. In F. E. Gaebelein (Ed. ), The Expositor’s Bible Commentary: Ephesians through Philemon (Vol. 11, p. 16). Grand Rapids, MI: Zondervan Publishing House. Craig Blomberg writes, “In the Greek, these twelve verses actually form one long, uninterrupted sentence.” Blomberg, Craig. From Pentecost to Patmos: an Introduction to Acts through Revelation. Nashville, TN: B & H Academic, 2006. 308. Klyne Snodgrass, Ephesians (Grand Rapids, MI: Zondervan, 1996), 47. John Stott, God’s New Society: The Message of Ephesians (Downers Grove, Ill.: InterVarsity Press, 1979), 44. Wood, A. S. (1981). Ephesians. In F. E. Gaebelein (Ed. ), The Expositor’s Bible Commentary: Ephesians through Philemon (Vol. 11, p. 25). Grand Rapids, MI: Zondervan Publishing House. Wood, A. S. (1981). Ephesians. In F. E. Gaebelein (Ed. ), The Expositor’s Bible Commentary: Ephesians through Philemon (Vol. 11, p. 26). Grand Rapids, MI: Zondervan Publishing House. Blomberg, Craig. From Pentecost to Patmos: an Introduction to Acts through Revelation. Nashville, TN: B & H Academic, 2006. 309. Schippers, R. (1986). Seal. L. Coenen, E. Beyreuther, & H. Bietenhard (Eds. ), New international dictionary of New Testament theology (Vol. 3). Grand Rapids, MI: Zondervan Publishing House. 1986. 497-498. Becker, O. Gift, Pledge, Corban. L. Coenen, E. Beyreuther, & H. Bietenhard (Eds. ), New international dictionary of New Testament theology (Vol. 2). Grand Rapids, MI: Zondervan Publishing House. 1986. 39-40. Blomberg, Craig. From Pentecost to Patmos: an Introduction to Acts through Revelation. Nashville, TN: B & H Academic, 2006. 309. See also the footnote at the bottom of the page. Wood, A. S. (1981). Ephesians. In F. E. Gaebelein (Ed. ), The Expositor’s Bible Commentary: Ephesians through Philemon (Vol. 11, p. 30). Grand Rapids, MI: Zondervan Publishing House. Wood, A. S. (1981). Ephesians. In F. E. Gaebelein (Ed. ), The Expositor’s Bible Commentary: Ephesians through Philemon (Vol. 11, p. 35). Grand Rapids, MI: Zondervan Publishing House. John Stott, God’s New Society: The Message of Ephesians (Downers Grove, Ill.: InterVarsity Press, 1979), 82. Craig, William Lane., and Walter Sinnott-Armstrong. God? : a Debate between a Christian and an Atheist. Oxford: Oxford UP, 2004. 90. Wood, A. S. (1981). Ephesians. In F. E. Gaebelein (Ed. ), The Expositor’s Bible Commentary: Ephesians through Philemon (Vol. 11, p. 38). Grand Rapids, MI: Zondervan Publishing House. Wood, A. S. (1981). Ephesians. In F. E. Gaebelein (Ed. ), The Expositor’s Bible Commentary: Ephesians through Philemon (Vol. 11, p. 39). Grand Rapids, MI: Zondervan Publishing House. Wood, A. S. (1981). Ephesians. In F. E. Gaebelein (Ed. ), The Expositor’s Bible Commentary: Ephesians through Philemon (Vol. 11, p. 40). Grand Rapids, MI: Zondervan Publishing House. Josephus Wars of the Jews V. 5. 2. Wood, A. S. (1981). Ephesians. In F. E. Gaebelein (Ed. ), The Expositor’s Bible Commentary: Ephesians through Philemon (Vol. 11, p. 41). Grand Rapids, MI: Zondervan Publishing House. Wood, A. S. (1981). Ephesians. In F. E. Gaebelein (Ed. ), The Expositor’s Bible Commentary: Ephesians through Philemon (Vol. 11, p. 42). Grand Rapids, MI: Zondervan Publishing House. Wood considers verses 2-13 a parenthesis in Paul writing. The verb picks up again in verse 14 (“I kneel”). Wood, A. S. (1981). Ephesians. In F. E. Gaebelein (Ed. ), The Expositor’s Bible Commentary: Ephesians through Philemon (Vol. 11, p. 44). Grand Rapids, MI: Zondervan Publishing House. John Stott, God’s New Society: The Message of Ephesians (Downers Grove, Ill.: InterVarsity Press, 1979), 121. Wood, A. S. (1981). Ephesians. In F. E. Gaebelein (Ed. ), The Expositor’s Bible Commentary: Ephesians through Philemon (Vol. 11, p. 50). Grand Rapids, MI: Zondervan Publishing House. Wood, A. S. (1981). Ephesians. In F. E. Gaebelein (Ed. ), The Expositor’s Bible Commentary: Ephesians through Philemon (Vol. 11, p. 51). Grand Rapids, MI: Zondervan Publishing House. Brown, C. Vol. 2: New international dictionary of New Testament theology. Grand Rapids, MI: Zondervan Publishing House. 1986. 256. Boice, J. M. Galatians. In F. E. Gaebelein (Ed. ), The Expositor’s Bible Commentary, Volume 10: Romans through Galatians (F. E. Gaebelein, Ed.). Grand Rapids, MI: Zondervan Publishing House. 1976. 499. John Stott, God’s New Society: The Message of Ephesians (Downers Grove, Ill.: InterVarsity Press, 1979), 149. Brown, C. Vol. 2: New international dictionary of New Testament theology. Grand Rapids, MI: Zondervan Publishing House. 1986. 764. C.S. Lewis, Mere Christianity (New York, HarperCollins, 2009), 131. Wood, A. S. (1981). Ephesians. In F. E. Gaebelein (Ed. ), The Expositor’s Bible Commentary: Ephesians through Philemon (Vol. 11, p. 56). Grand Rapids, MI: Zondervan Publishing House. Wood, A. S. (1981). Ephesians. In F. E. Gaebelein (Ed. ), The Expositor’s Bible Commentary: Ephesians through Philemon (Vol. 11, p. 58). Grand Rapids, MI: Zondervan Publishing House. John Stott, God’s New Society: The Message of Ephesians (Downers Grove, Ill.: InterVarsity Press, 1979), 167. Wood, A. S. (1981). Ephesians. In F. E. Gaebelein (Ed. ), The Expositor’s Bible Commentary: Ephesians through Philemon (Vol. 11, p. 59). Grand Rapids, MI: Zondervan Publishing House. Wood, A. S. (1981). Ephesians. In F. E. Gaebelein (Ed. ), The Expositor’s Bible Commentary: Ephesians through Philemon (Vol. 11, p. 61). Grand Rapids, MI: Zondervan Publishing House. Brown, C. (1986). New international dictionary of New Testament theology (Vol. 1, p. 137). Grand Rapids, MI: Zondervan Publishing House. Wood, A. S. (1981). Ephesians. In F. E. Gaebelein (Ed. ), The Expositor’s Bible Commentary: Ephesians through Philemon (Vol. 11, p. 65). Grand Rapids, MI: Zondervan Publishing House. Cited in Wood, A. S. (1981). Ephesians. In F. E. Gaebelein (Ed. ), The Expositor’s Bible Commentary: Ephesians through Philemon (Vol. 11, p. 65). Grand Rapids, MI: Zondervan Publishing House. John Stott, God’s New Society: The Message of Ephesians (Downers Grove, Ill.: InterVarsity Press, 1979), 191. Wood, A. S. (1981). Ephesians. In F. E. Gaebelein (Ed. ), The Expositor’s Bible Commentary: Ephesians through Philemon (Vol. 11, p. 68). Grand Rapids, MI: Zondervan Publishing House. Wood, A. S. (1981). Ephesians. In F. E. Gaebelein (Ed. ), The Expositor’s Bible Commentary: Ephesians through Philemon (Vol. 11, p. 70). Grand Rapids, MI: Zondervan Publishing House. J.B. Phillips understands this passage in this way. Cited in Wood, A. S. (1981). Ephesians. In F. E. Gaebelein (Ed. ), The Expositor’s Bible Commentary: Ephesians through Philemon (Vol. 11, p. 70). Grand Rapids, MI: Zondervan Publishing House. Wood, A. S. (1981). Ephesians. In F. E. Gaebelein (Ed. ), The Expositor’s Bible Commentary: Ephesians through Philemon (Vol. 11, p. 72). Grand Rapids, MI: Zondervan Publishing House. Wood, A. S. (1981). Ephesians. In F. E. Gaebelein (Ed. ), The Expositor’s Bible Commentary: Ephesians through Philemon (Vol. 11, p. 75). Grand Rapids, MI: Zondervan Publishing House. Wood, A. S. (1981). Ephesians. In F. E. Gaebelein (Ed. ), The Expositor’s Bible Commentary: Ephesians through Philemon (Vol. 11, p. 76). Grand Rapids, MI: Zondervan Publishing House. Wood, A. S. (1981). Ephesians. In F. E. Gaebelein (Ed. ), The Expositor’s Bible Commentary: Ephesians through Philemon (Vol. 11, p. 77). Grand Rapids, MI: Zondervan Publishing House. Bruce, F. F. (1984). The Epistles to the Colossians, to Philemon, and to the Ephesians (p. 395). Grand Rapids, MI: Wm. B. Eerdmans Publishing Co.
 Wood, A. S. (1981). Ephesians. In F. E. Gaebelein (Ed. ), The Expositor’s Bible Commentary: Ephesians through Philemon (Vol. 11, p. 80). Grand Rapids, MI: Zondervan Publishing House. Wood, A. S. (1981). Ephesians. In F. E. Gaebelein (Ed. ), The Expositor’s Bible Commentary: Ephesians through Philemon (Vol. 11, p. 81). Grand Rapids, MI: Zondervan Publishing House. Wood, A. S. (1981). Ephesians. In F. E. Gaebelein (Ed. ), The Expositor’s Bible Commentary: Ephesians through Philemon (Vol. 11, p. 83). Grand Rapids, MI: Zondervan Publishing House. Wood, A. S. (1981). Ephesians. In F. E. Gaebelein (Ed. ), The Expositor’s Bible Commentary: Ephesians through Philemon (Vol. 11, p. 85). Grand Rapids, MI: Zondervan Publishing House. Wood, A. S. (1981). Ephesians. In F. E. Gaebelein (Ed. ), The Expositor’s Bible Commentary: Ephesians through Philemon (Vol. 11, p. 86). Grand Rapids, MI: Zondervan Publishing House. McCallum, Dennis. Satan and His Kingdom: What the Bible Says and How It Matters to You. Minneapolis, MN: Bethany House, 2009. 120. Barna Group, “Most Adults Feel Accepted by God, But Lack a Biblical Worldview.” August 9, 2005. For instance, Lordship theologian John MacArthur writes, “The weapons of warfare can be summarized in one word: Obedience.” John MacArthur, How to Meet the Enemy (Wheaton, Ill.: Victor Books, 1996), 69. Likewise, dispensational interpreters Walvoord and Zuck write, “The breastplate of righteousness refers not to justification, obtained at conversion (Rom. 3:24; 4:5), but to the sanctifying righteousness of Christ (1 Cor. 1:30) practiced in a believer’s life… righteous living (Rom. 6:13; 14:17) guards a believer’s heart against the assaults of the devil.” The Bible Knowledge Commentary: An Exposition of the Scriptures, Vol. 2 [Wheaton, IL: Victor Books, 1983], p. 643. McCallum, Dennis. Satan and His Kingdom: What the Bible Says and How It Matters to You. Minneapolis, MN: Bethany House, 2009. 124. Wood, A. S. (1981). Ephesians. In F. E. Gaebelein (Ed. ), The Expositor’s Bible Commentary: Ephesians through Philemon (Vol. 11, p. 87). Grand Rapids, MI: Zondervan Publishing House. Unger, Merrill. What Demons Can Do to Saints. Moody Publishers: Chicago. 1991. 18. Wood, A. S. (1981). Ephesians. In F. E. Gaebelein (Ed. ), The Expositor’s Bible Commentary: Ephesians through Philemon (Vol. 11, p. 88). Grand Rapids, MI: Zondervan Publishing House. McCallum, Dennis. Satan and His Kingdom: What the Bible Says and How It Matters to You. Minneapolis, MN: Bethany House, 2009. 128.